Hair loss in brows and lashes, due to aging, chemotherapy, alopecia, etc. (These afflict both sexes). is done with disposable needles and supplies, and the OSHA guidelines are followed. 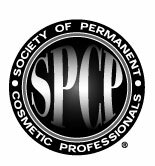 safety, a small patch test is always performed at least 30 minutes prior to any procedure. risk is dramatically decreased. Because this is an art form, and not a science, in rare instances, pigment can migrate. It generally happens if it was implanted too deep, therefore, at Advanced Image Artistry, inc., colors are applied in layers, which ultimately takes more time to complete, but results are more natural looking. What if I like to change my make-up shades for different outfits or when the seasons change? After permanent cosmetic procedures have been done, there is every opportunity to wear different shades of conventional make-up or to wear darker colors in the evening. At Advanced Image Artistry, inc. pigmentation is applied to ENHANCE your own features and coloring. For example, if a fair skinned, light haired person requested black eyeliner, most likely, this would be contraindicated for someone with this type of coloring. It is, however possible, in fact, that black would be the color that works best for this person. In most cases, though, it would be too severe, & harsh looking, which actually can make one appear more aged. Color matching and mixing is extremely important for achieving results that compliment your features, complexion, hair color (even if you change colors often), and most of all, make you look and feel more beautiful! Because most of the areas to be enhanced or restored can be quite sensitive, some discomfort may occur during the procedure, however topical anesthetics are applied to help prevent this. Everyone has a different threshold for pain, some require more anesthetic, while others require very little, or none at all. Your comfort level will assessed and every effort will be made to ensure that you have the most pleasant experience possible. No. Consider the amount spent over a number of years on haircuts and coloring, which will never be permanent and always require some type of maintenance. Many women spend hundreds each year just on manicures, pedicures, or fills for gel or acrylic nails. The cost of each procedure varies, though they range from approximately $350 to $700, and can be enjoyed for many, many years.